If you live in a location that has a harsh winter, you know that this type of year brings all types of inconveniences, from driving on icy roads to needing to bundle up wherever you go. But the winter brings a whole new set of challenges to the elderly population and those with compromised health. In particular, snow shoveling can present an increased risk of heart attack. 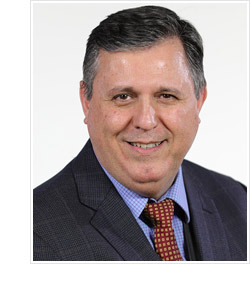 Dr. Thomas Tambouratzis is an internal medicine physician practicing with the Washington Health System Internal Medicine practice and knows all too well the effects that snow shoveling can have on the elderly and those at high risk of heart attack. He follows the American Heart Association’s guidelines on recommendations regarding shoveling. “Snow shoveling can increase the risk of heart attack in some people. 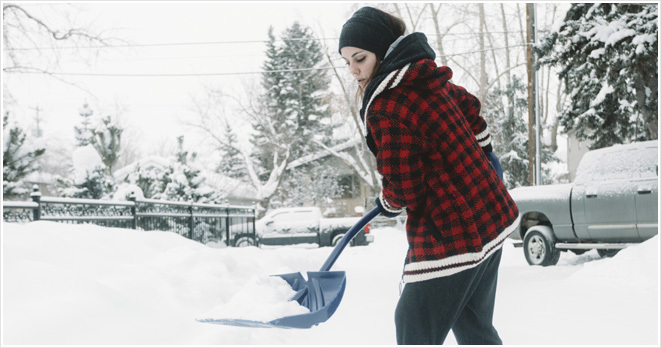 The physical exertion of shoveling paired with the cold temperatures increases the heart’s workload. For some people, walking through heavy or wet snow is enough to strain the heart.” Cold weather can actually increase blood pressure and make blood more likely to form clots. Many of the people that are shoveling snow are not used to such physical exercise as well. The American Heart Association and Dr. Tambouratzis make several great recommendations for staying safe while keeping your driveway clear. Take plenty of breaks and consider shoveling a marathon, not a sprint. Pay attention to the way your body feels when you take these breaks and don’t push yourself. Don’t shovel on a full stomach. A large meal can put extra stress on your heart. Avoid eating a lot directly after shoveling as well. Pay attention to the size of your shovel. A smaller shovel is recommended, as the weight of the snow will be less. When possible, push the snow rather than shoveling and lifting it. Keep your cell phone in your pocket. If you notice any of the heart attack warning signs, call 911. Don’t drink and shovel. Alcohol may make you feel warmer than you actually are and you may underestimate the strain on your body from shoveling. Talk to a doctor. Schedule a physical before the winter season and ask your doctor if you are healthy enough to shovel snow. Understanding the warning signs of a heart attack is vital to getting quick and effective medical treatment. Dr. Tambouratzis says to be aware of chest discomfort, discomfort in other areas of the upper body, shortness of breath, nausea or lightheadedness. If you experience any of these symptoms while shoveling, it’s time to call 911. Heart attacks can start mildly, so it’s important not to ignore any subtle clues. If you think you may not be healthy enough to shovel snow, it’s important that you don’t push yourself to do it anyway. Consider reaching out to neighbors and family members for help. Snow shoveling services and even helpful neighborhood teenagers can help keep your driveway clear as well. If you are concerned about your heart health or want to make sure you are healthy enough to shovel, call Washington Health System at (724) 225-7000 to be connected to a physician who can help you out.